After trawling the interwebs for Nahji Chu’s famed story (you know, the one which could be turned into a movie, or used to inspire a generation of Asian-Australian girls searching for greatness and motivation) I am even more impressed at her development of her restaurant chain business. Miss Nahji Chu’s story is one too familiar to a lot of ‘boat people’ arriving as a refugee to Australia. 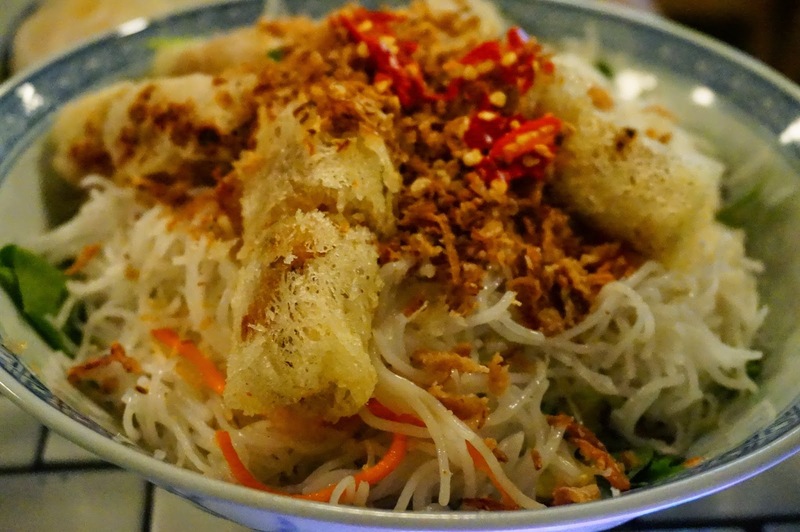 She however, rose above the prejudice and stigma and created a name for herself through traditional Vietnamese cuisine tailored to an Australian audience. Her life is not without barriers, but she moulds her dreams and future herself; that of being an actress and director are realised in smaller ways through her stores and charity work, or by taking Asian stereotypes and subtle racist slurs and using them to her advantage in her marketing and promotion. Her dream to pursue her ambition of building awareness for Vietnamese refugees is slowly being realised through her strong extrovert personality and business success. If that is not the recipe for success, I don’t know what is. Walking in through the cosy shop front, I feel I been lifted into a Hanoi sidestreet. The décor is very traditional old school Asian, right down to the wooden benches and elbow-to-elbow eating room. I loved the little ordering script pads for the food and drink and so of course I utilised the fun out of it. 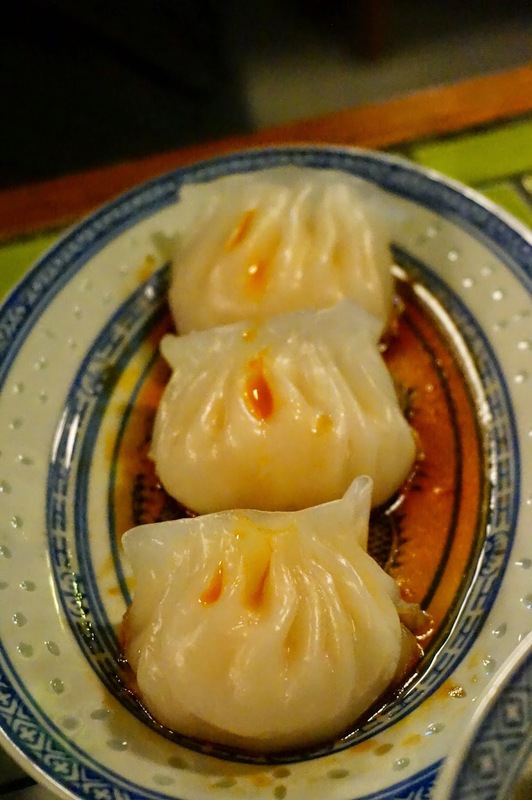 Excited to see Har Gao (Prawn dumplings, 3 per serve $7.0) on the menu I ticked the box and waited with greedy hands. Despite (or due to) my anticipation, I felt this dumpling was not as good as other Yum Cha places; the skin was very thick and relied a lot on the dumpling sauce that came with the dish. The prawn was tasty and fresh, though I will reserve my cravings for other places. The Prawn & Crab Net Spring Roll Salad ($13.0) was incredible. A crunchy fried roll filled with seafood balanced with healthy vermicelli and fresh salad with Vietnamese sweet sauce dressing. So succulent and tasty – I will order this every time I return. The BBQ pork char sui buns ($2.50 each) were beautiful and fluffy, and I am incredibly partial to the dough part, which made these great. 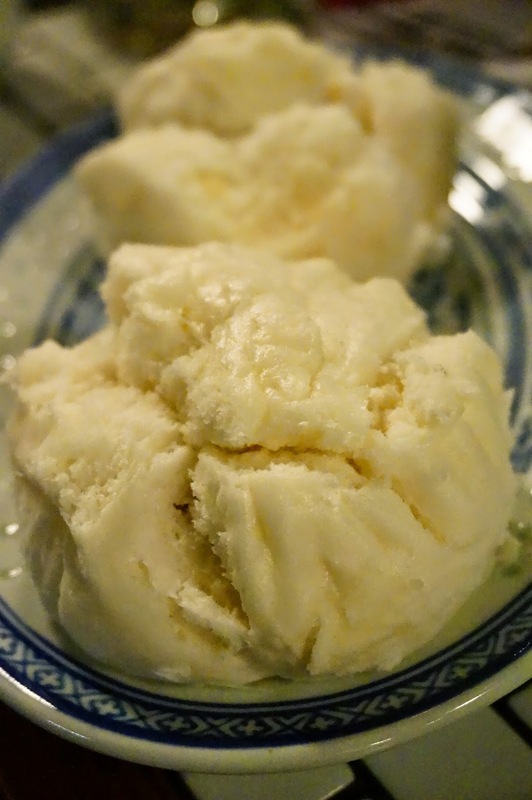 The insides were warm and typical of your standard Asian bao. It tasted similar in that it was good quality, but nothing special, and as you can get the same for cheaper, I will save my monies and buy this elsewhere next time. The Traditional Beef Phở ($14.0) was tasty. It was a heavier flavoured broth with a strong star anise base. 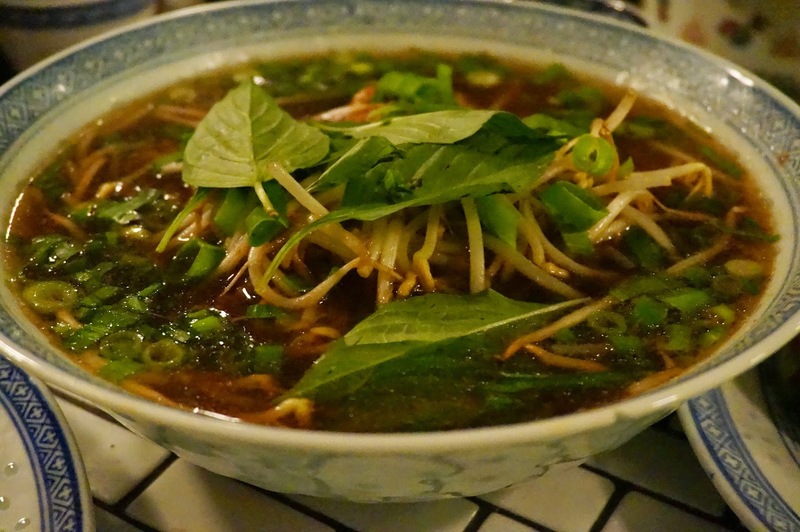 The noodles were similar to other Phở noodles but not as soft. The wagyu beef however wasn’t as fresh or served raw to cook in the piping hot broth. The ox tail addition was a good way to mix things ups, however, for double the ‘usual’ price I don’t feel it was worth it. Usually I’d be happy to eat the noodles with just the soup, however with Miss Chu’s I felt like I needed more meat and sauce to make it tasty. 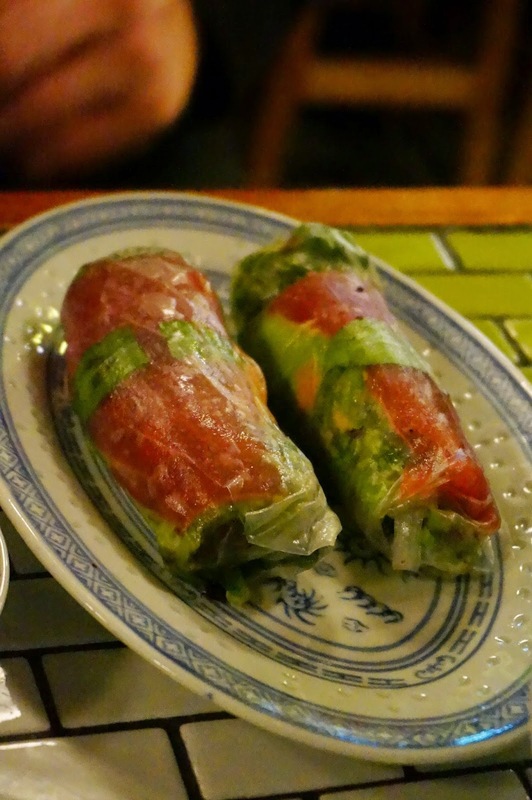 The Sashimi tuna rice paper rolls (2 per serve, $13.0) had good flavours with a nice twist being filled with seaweed instead of noodles. It was a refreshing roll especially with the hidden wasabi and no heavy sauces or meats; however it was difficult to chew through and ended up tasting overwhelmingly like seaweed rather than tuna. 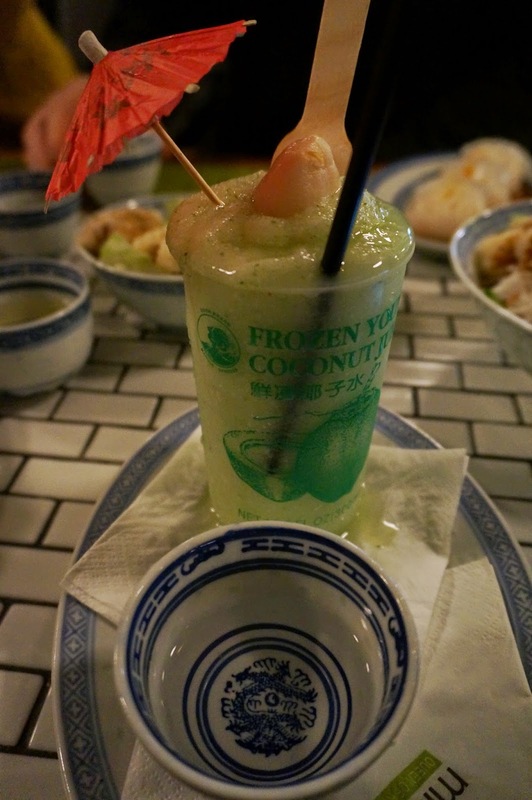 The Lychee Stoli Crush ($13.0) of frozen young coconut juice, blended with lychees and mint was ok but the coconut overpowered the lychee too much. The slushie texture was a nice change to a cocktail, and the smooth vodka and cucumber went well with the flavour combination very well. 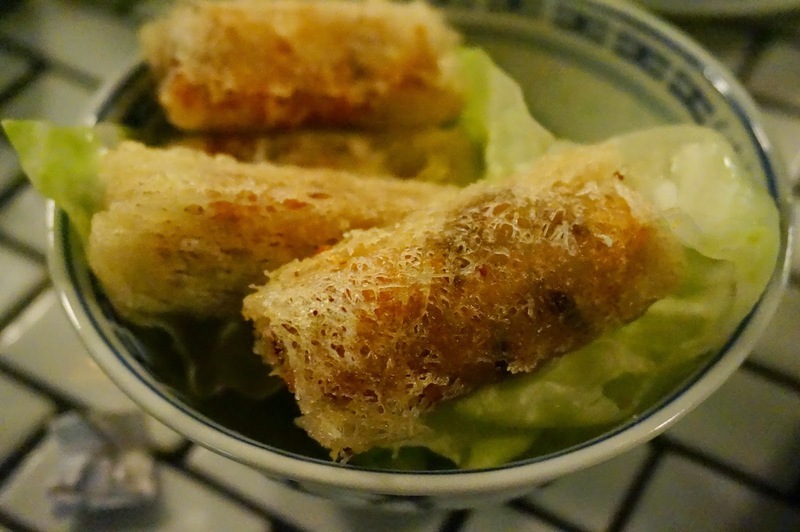 TL;DR Writing this makes me crave the spring rolls all over again… I think I’ll go get some this weekend.